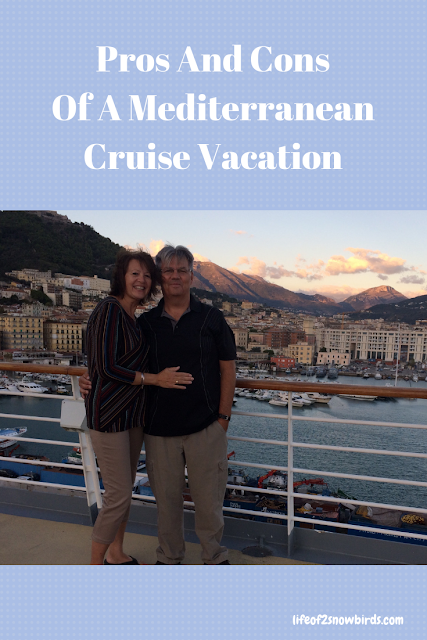 We just got back from our Mediterranean cruise. I can't believe that it is actually behind us. It was a vacation that we dreamed about for years and now it is a wonderful memory that will last us a lifetime. We had never been to Europe and thought that cruising would be the best way for us to see it. Now that we are back, I can say that most of our trip met our expectations but some things we didn't expect. The number one positive for us of traveling Europe via cruise ship was that we didn't have to move ourselves from one hotel to the next. We saved ourselves hours of wasted time packing and unpacking our luggage. One pet peeve I have about traveling is when we have to "live out of our suitcases". We spent the first two nights of our vacation in Barcelona. The room was very tiny and didn't have any drawers at all and only a small closet that we could fit five outfits in. I took out the dress I brought for formal nights on the ship but the rest of my clothes were all over the place and starting to wrinkle up after the two nights. It was so nice to be able to unpack when we got on the ship. We enjoyed delicious dinners, great entertainment and relaxing in lounge chairs while we were whisked away to our next stop. Instead of sitting on a train or bus to get to our next destination, we were enjoying the cruising part of our vacation. Half of the fun of a cruise vacation for us is the cruising part. 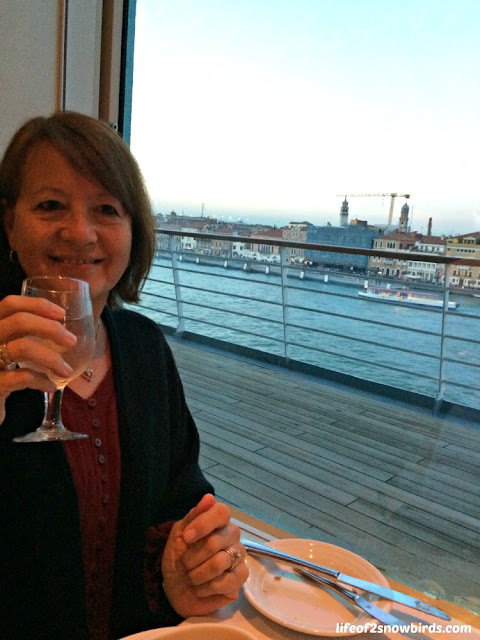 Our Mediterranean cruise meant getting up early and spending all day on the go for 12 days. 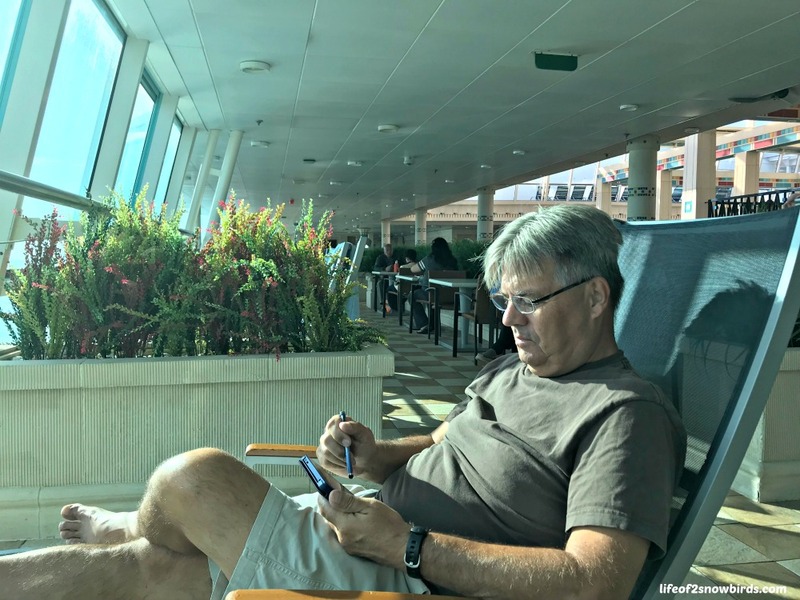 Having the chance to relax while the ship brought us to our next destination kept us from getting overtired. Being able to book excursions through the cruise line. It made getting to the sights we wanted to see at each port stop so much easier than having to figure out how to get transportation ourselves. We booked an excursion for Rome which provided a shuttle to an express train to Vatican City. We had a guide who gave us information on the shuttle bus and then led us to the train. He also let us know when and where to meet for our return ride back to the ship. He then led those of us who were interested to the Hop On, Hop Off bus we used to see the major sites in Rome. Meeting many interesting fellow cruisers from different parts of the world and US. We had lots of fun chatting with people from Australia, Ireland, England, Canada, Cuba and the states. We took advantage of the time we spent with these nice people to find out more about their countries and states. The people we met from Ireland were so excited to hear that we would be visiting their country next year and were happy to let us know what we need to do and see there. 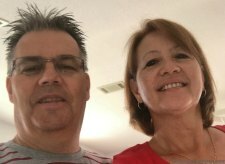 They asked when we will be making our trip and we said February. They had looks of horror on their faces (I'm exaggerating!) when we told them when we were going. "Why would you want to go to Ireland in February. The weather is terrible!" Oops! The number one negative on our list would be that we had a very limited amount of time at each port. We definitely needed to spend at least two days at each stop to be able to enjoy each city more. We knew that the time constraints was something we wouldn't be able to avoid but we really didn't expect to have only one hour to enjoy Murano and more than half of that time would be taken up by a glass blowing demonstration. We enjoyed the demonstration but slipped away from the group when they were being led to the demonstrator's glass shop afterwards. We really would have liked a little more than the 30 minutes we had to see the city. Stressing about getting back to the ship on time. At times we rushed to a sight and only stayed long enough to snap a few pictures before we ran to the next sight because we wanted to see everything but we needed to make sure we had plenty of time to get back to the ship before it left the port. Three passengers were left at the Amalfi Coast even though the ship left about an hour later than scheduled. Some cities were very far from the port. We knew that Rome was almost 1 1/2 hours away from our port stop in Civitavecchia but 1 1/2 hours away compared to being on the other side of the world from it made Rome seem too close to not see it. If we were doing a trip in Italy another way, rather than cruising, we would definitely have penciled in at least 2 to 3 days to see Rome. Having to go through security checks upon returning to the ship after disembarking at each port. I know that security checks keep us safe and is a way for the cruise line to keep a head count of their passengers, but after a long day, the last thing we wanted to do was wait on line, take off our belts and watches and hold our breath (that's just me!) as we and our bags go through the security scanners! We really had a wonderful time on our Mediterranean cruise vacation. We immensely enjoyed exploring the countries and cities we visited. Cruising enabled us to see a lot more than we could have if we had to get from place to place on our own. We would never have been able to see 5 countries in 12 days that easily. We would love to go back and do this trip again and we would do it the same way, by cruise ship, but we will know what to expect next time and be able to plan better. The pros definitely outweighed the cons for us. I've cruised often. Your disadvantages are valid. Thanks Janice and thanks for hosting your party each week! Cruising is not for everyone but so much fun for those of us who enjoy them. Hope you get to try it one day! I'm glad you had a lovely time on your cruise! 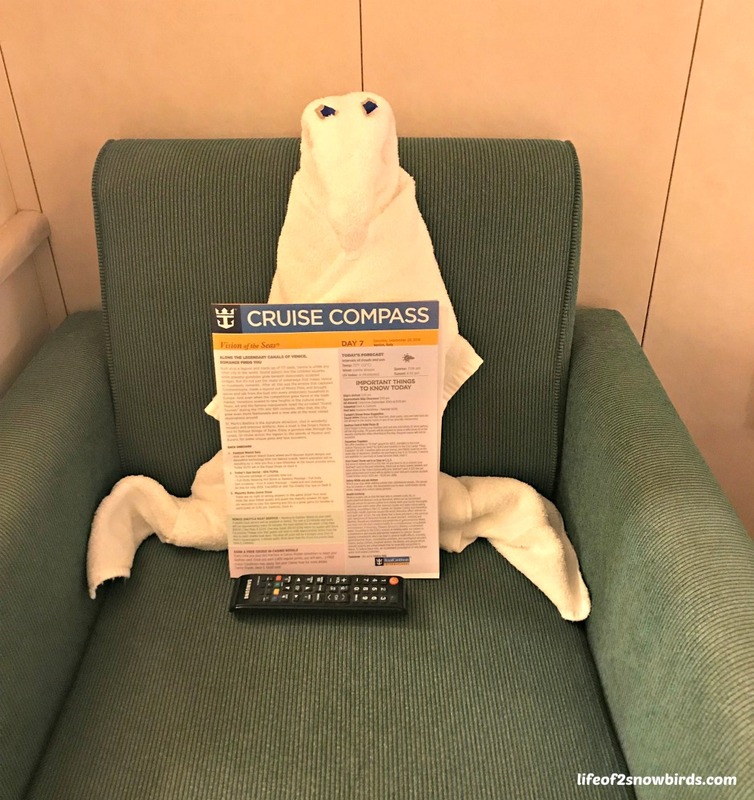 Having not yet been on a cruise, I was interested to read your pros and cons. Living so close to Europe here in the UK, I've had the opportunity to visit some of the cities you mentioned on weekend breaks, and I agree, it does take longer than a couple of hours to see them! We did visit Murano on an afternoon boat trip from Venice and felt the same way - a bit herded into the demonstration and the shop with no way of getting outside. I preferred the next island we went to - Burano - to be honest. 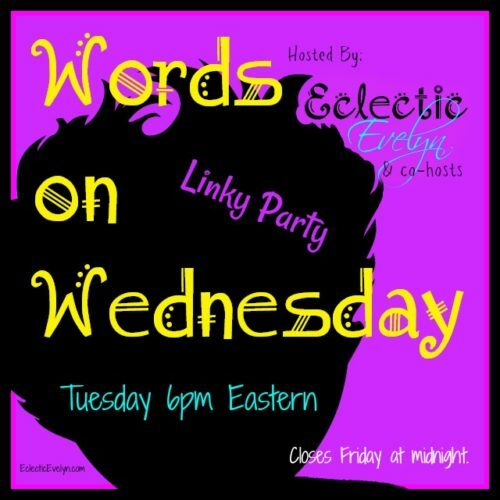 Thank you so much for sharing this interesting and really helpful post with the Hearth and Soul Link Party. Hope to see you again next week! You are so lucky to be able to get to many different countries rather easily. And yes, I loved Burano more also. It was so cute with all those colorful houses! Yes it is worrisome for sure so we made sure we created an itinerary for ourselves that gave us plenty of time to get back to the ship. Not sure I'd like being on a boat all that time . . . But I'm sure you saw lots of beauty from the ship. 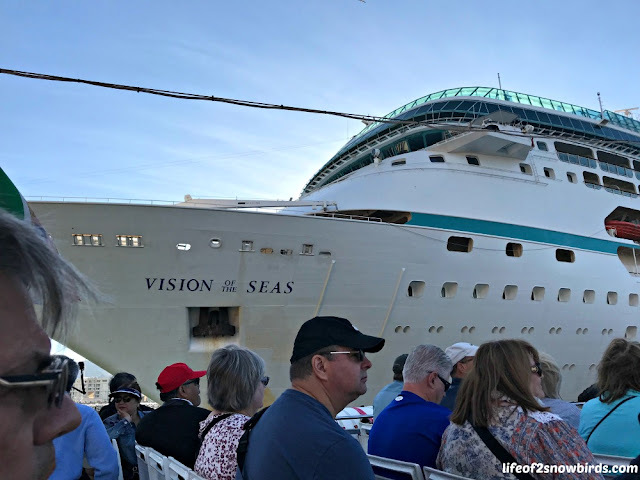 We love cruising and spending time on the ship as well as at the destinations it takes us to but I have friends that have tried cruising who didn't like the being on the ship part! It sounds like it was a great trip, and what a great idea to see what you want to change for the next cruise!I am glad the pros outweighed the cons! I hope you share more pictures! Thank you for sharing at Celebrate It! 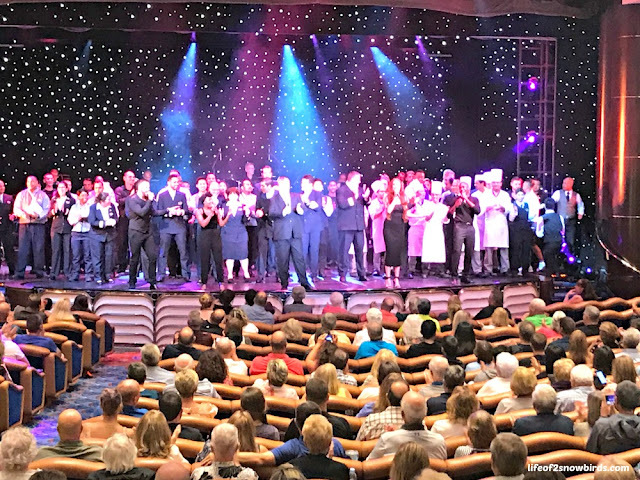 I would love to do the same cruise again especially because I learned so much from this one! Sounds like a great time going the ship route. I would have been bummed not to see more of Rome though. You are right 2-3 days there would have been great! Thank you for sharing on Merry Monday! Hope to see ya next week! Yes. It was too bad that we had to rush through Rome but overall cruising through Europe was a fun way to see a lot. Thanks Iveth. I hope that you will have a chance to go on a cruise one day soon!